During Homecoming & Reunion Weekend, William & Mary Athletics unveiled the new Tribe Plaza, a gathering place for alumni and fans at the entrance of Walter J. Zable Stadium. 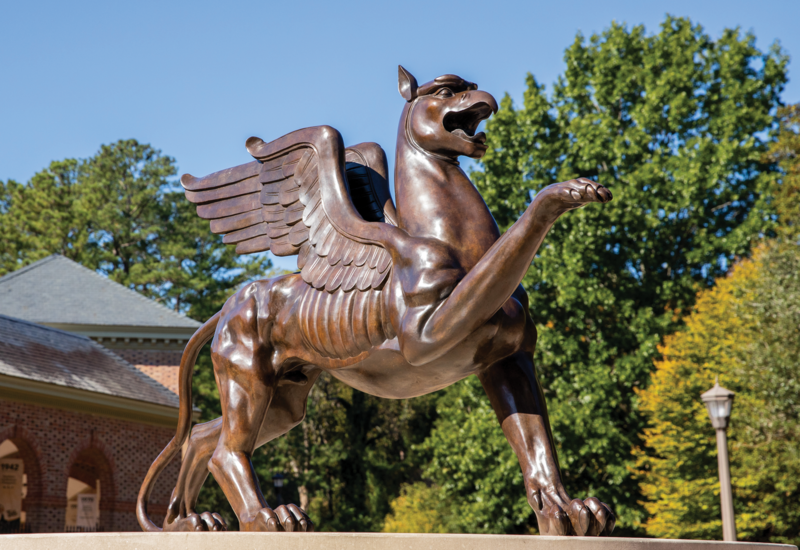 The focal point of the plaza is a 7-by-5-foot bronze Griffin sculpture, resting on a 6-foot high concrete and brick plinth. The statue, which was purchased at auction with private funds via the Tribe Club, is a replica of a pair of bronze statues cast in 1861 to adorn a palace in Berlin, Germany.